When going through a divorce with children, your focus is all on them. Read this informative blog by Attorney Tanya Freeman to learn what child custody issues you need to take care of early on. In all my years, if there is one thing I have learned, it is this: no army, no man, no machine, no beast can wield a force greater than a parent’s love. Since you are here reading this blog, it is probably safe to assume that you are either going through a divorce, or are battling your ex for custody of your children. As eager as you are to start your life afresh, I know that there is one creeping issue that roils ominously in the pit of your stomach and continues to play havoc on your mind: the kids. Having to share the one thing you cherish the most with your ex is a fairly rotten prospect for any parent, especially if you did not have an amicable divorce and now hate your ex’s guts, so to speak. As a divorce attorney in New Jersey, I deal more with matters of the heart than those practicing in different areas of the law. To be fair and just, whilst sticking to cold, hard facts is the normative for a lawyer. However, it is particularly challenging when you are the one drawing the lines along which a family will be rent asunder. I wish there were a way to assure your children that nothing will change and that they will still have the family they have had all their lives. I wish I could sit them down and explain to them that just because their parents do not “love” each other anymore, does not mean that they do not love their children. But children are innocent in a way that is both delightfully charming yet makes you chew nervously on your fingernails at how vulnerable this innocence leaves them. Why they take personally the fact that “Mommy and Daddy don’t love each other” is something about which I can merely conjecture. What it means to them, however, I know well. Children see their parents as a unit. They feel safe and derive strength from the united front this parental unit presents to them. This is the structure they were born into, and it is likely the only structure they know. In the wake of a divorce, this structure is shattered. Being young and inexperienced, children often do not yet possess the language to describe this loss, which adds to the cataclysm. While divorce is synonymous with the end of a family, I try to remind couples and their children that it is in fact, the birth of two different families, both of which the children now belong to. Additionally, if you and your soon-to-be ex-spouse can maneuver certain problematic issues beforehand, there is no reason why your children should feel lost, or why you should feel alone when they are with your ex. One such issue is the question of holidays. Holidays are always a problem. Before the children are emancipated, and sometimes setting a precedent and stretching across decades, well after the children are adults themselves. It is important to tackle this difficult issue as early as possible to spare everybody in your family considerable grief. Holidays are when families establish traditions, create memories, and partake in the festivities together. Holidays are times of joy. Holidays are special. 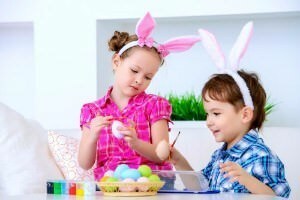 Celebrating a holiday with your family is transcendental of religion. of religion, holidays before a divorce are joyful, whilst after, they cause endless confusion. I see parents who had gotten divorces even decades ago, crying on Christmas morning because their adult kids went to spend the day with the alternate parent. You want to keep your family traditions alive, but find that you now have to share your children and your holidays with them with your former spouse. There are many creative ways to reach an agreement on how to share the holidays. There are certain holidays that each parent is just going to have. Your birthday, Mom is always going to get Mother’s Day, Dad is always going to get Father’s Day, you get the gist. But for those other holidays, you have to step back and think about what is really the most important thing going on for this holiday. Are you both flexible and willing to alternate? Or do you want the kids for one holiday every year, but are willing to let your spouse have them for another? Is Christmas Eve more important to you than Christmas Day? Do you want to have your kids over for Thanksgiving dinner, or would you rather take them Black Friday shopping? Reaching an agreement with your spouse always makes for a better solution. Because if this decision is left to the court, it is always going to have you alternate. Which means that neither one of you is going to get the holiday schedule of your choice. Vacations… Did you know the word “vacation” derives from its Latin root “vacare” which means to “be unoccupied”? 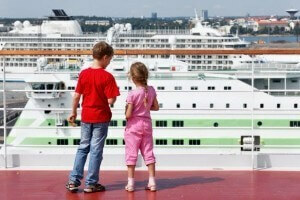 These issues typically arise most frequently when a parent wants to travel internationally with the children. Whether such a trip is planned during or after the conclusion of the divorce, this is often turns into a post-divorce issue that is often strenuously litigated. Here’s my thought. Why leave it until after the divorce? International travel can be addressed in your settlement agreement. You might consider asking and settling on the following questions. But by no means should you limit yourselves to these. Do you have family members who live outside the United States? Do the children already have passports? If they do, who will keep the passports? Can Mom keep one passport and Dad keep another? Is there a concern that someone might flee the jurisdiction with the children? If so, the court – and your attorney – must be alerted at the onset of litigation. If the children do not have passports, have you secured the non-traveling parent’s consent to apply for them? Both parents must approve if a child is to get a passport. If the children are permitted to travel internationally, are there certain countries that they are not permitted to visit? How long are they permitted to be out of the country? How much notice does the other parent need prior to the children departing on an international trip? These are among the important considerations that, as a parent, you must discuss with your attorney. In many cases, these issues are heavily litigated – both during and post-divorce – so you must not leave them to chance. Address and resolve these important issues surrounding international travel as early as is possible. Ideally, put it into the agreement. I am often asked by clients what will happen if they want to leave the State of New Jersey after or during the divorce. Relocating outside the jurisdiction with minor children is one of the most difficult challenges family law attorneys face. The court considers many factors in response to a request to relocate outside of the jurisdiction, including the child’s ties to the community, the number of family members who live in New Jersey, and how this move will impact the non-moving parent’s custody and parenting time plan. Whatever the case may be, it is best if these issues and questions are resolved and agreed upon during the divorce to prevent them from becoming a problematic post-divorce matter. This entry was posted in Child Custody, Featured, New Jersey Family Law Blog. Bookmark the permalink.